There are some amazing and elaborate ways to break the exciting news you are expecting a baby to family and friends and, as much as we love the big productions, sometimes the simple approach can be just as powerful. 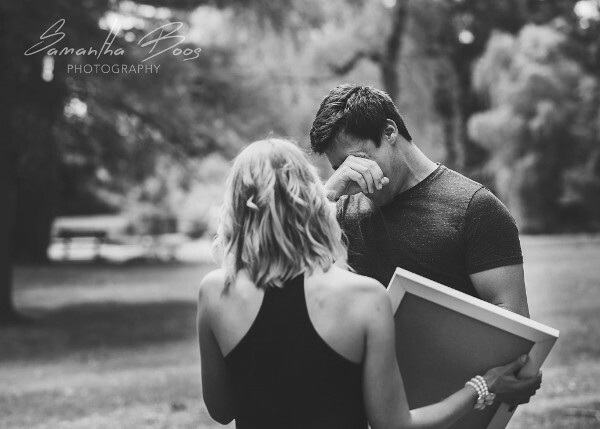 When Bri wanted to let her husband Brandon know he was going to be a daddy she came up with the perfect plan to ensure his surprised reaction was beautifully captured. 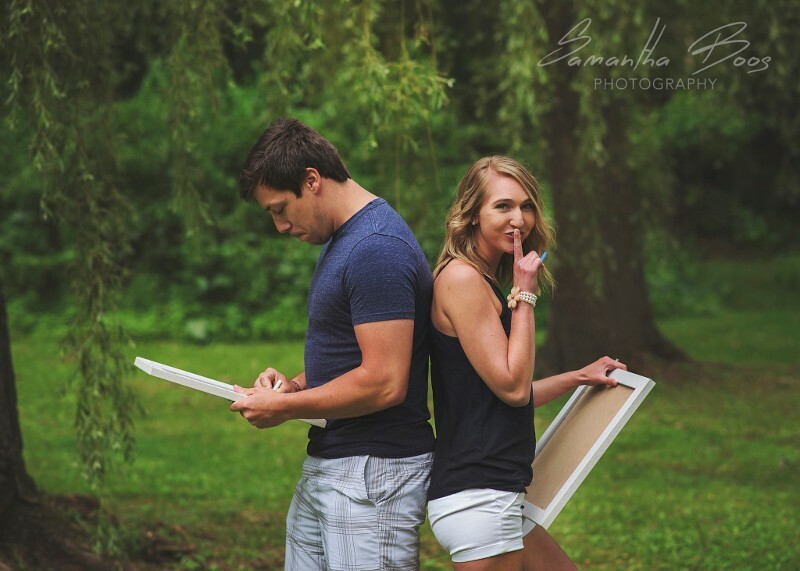 Bri enlisted the help of Samantha Boos Photography to make the big reveal in a carefully planned photo shoot. In a post on Facebook the Wisconsin photographer explains Bri told Brandon they’d won a couple photo session. 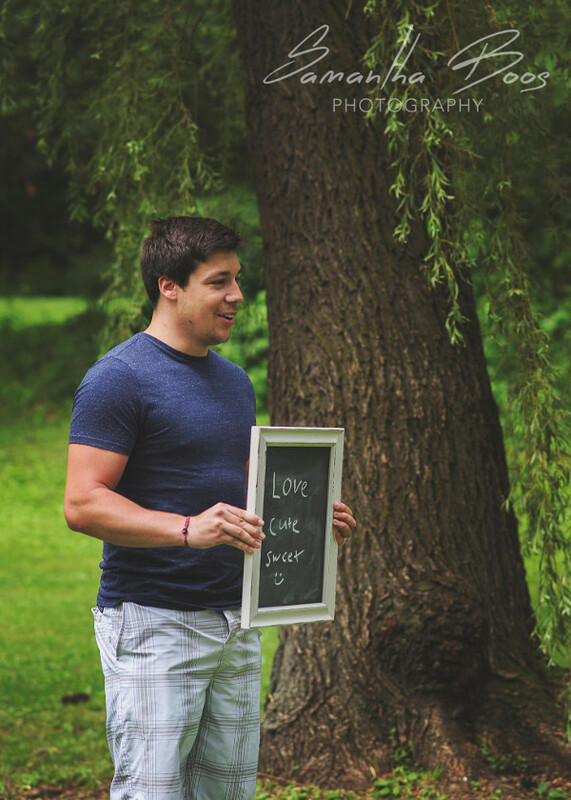 The photos show Bri and Brandon standing back-to-back each holding chalk boards, which Samantha told them to write three words on to describe the other. In the first cheeky shot we see the couple side on, Brandon is looking at his chalkboard while Bri looks at the camera with her finger to her mouth indicating she has a secret. 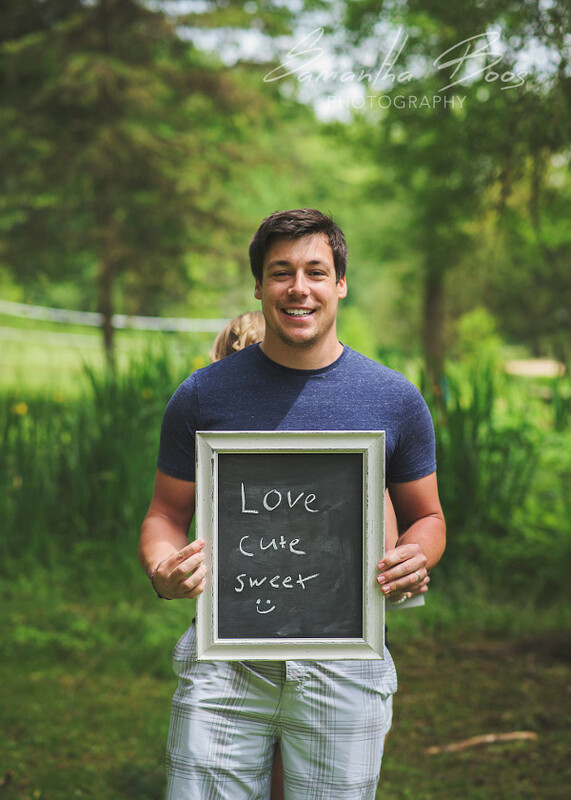 The next shot reveals Brandon’s words for his wife, ‘love, cute, sweet’, which he finishes with a smiley face – so we know he is a keeper. Then we see Bri’s chalkboard, which reads ‘you’re going to be a daddy’, finished with a heart – there might be something in our eye. There are no words for the next shot, which shows Brandon’s reaction to his wife’s announcement – just look at that face, speechless. As we watch Brandon wipe tears from his eyes we are reaching for the tissues. This final shot is too much, we just know this super-sweet couple are going to have the most ridiculously gorgeous baby – sigh. How did you break the news of your pregnancy to your partner? If you need some inspiration, we have compiled some of the best ways pregnant women are revealing their big news.